January is the perfect time to put some wardrobe resolutions into effect. No need to go overboard and change everything at once. Experiment with the following five wardrobe resolutions and I promise that you will look better and feel more organized and in control. 1. Experiment with one new style or color. Buy a patterned blouse, a v-neck sweater or a color that you don’t normally wear. Try it on with different things that you already own. You will be surprised at how something different can brighten up many existing outfits. 2. Plan out your accessories. The morning before a big appointment is not the time to be trying on necklaces, earrings and scarves. Decide beforehand what goes with what. 3. 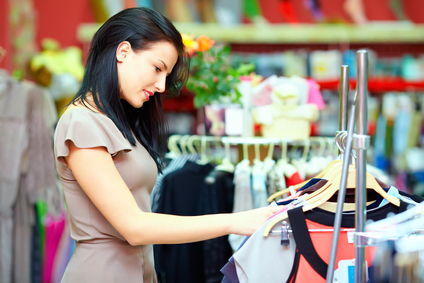 Purchase clothes in outfits; or check that what you buy matches at least two items already in your closet. However fabulous something is if it isn’t part of an outfit it’s going to sit in your closet and collect dust. 4. Every time you add to your wardrobe, choose something to give away. This will enable you to keep a consistent amount in your closet and not have it be filled with lots of items that you don’t wear. 5. Don’t buy merely for price. Obviously your budget is important but consider if you’ll wear that item that is 95% off. By making a few tweaks to your wardrobe you can energize it and feel better about your appearance. Take the time to experiment with wardrobe resolutions for 2016. Let me know about any other resolutions you’ve made that work for you!